Welcome to the Governance pages of Christ’s School website. The Governing Body is a team of committed and enthusiastic volunteers, representing all corners of our school community including parents, staff and local churches. We work closely with the Headteacher and senior staff in the school to set strategic direction and ensure strong accountability is in place for everything that happens at Christ’s. In short, we are often described as ‘critical friends’ of the school; challenging and giving constructive criticism, but always from the perspective of strong support and absolute commitment to the goals of the school. Below you will find more about the role and responsibilities of the Governing Body, and in the additional pages, further details on the Committee structure that supports much of our work and the various interests and roles of individual Governors. You will also find information about the Governors as people, our pictures and a summary of who we are and the groups we represent. We bring a diverse range of skills and experiences into the Governing Body as you will see, and as Chair of Governors I am proud to work with such a talented and energetic team. I hope you find these pages useful. If you have any questions or comments the Governors would be pleased to hear from you; click here to find our contact details. 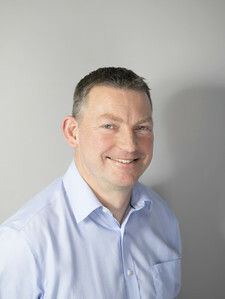 Phil Rushby, Chair of Governors. The make-up of the Governing Body at Christ’s School reflects our Christian ethos and the school’s status as a Church of England School. Two local parishes provide Foundation Governors (four from the Richmond Team Ministry and three from the Parish of Holy Trinity and Christ Church, within which the school is situated). The Southwark Diocesan Board of Education provides two additional Foundation Governors, as well as vital professional advice across many areas of the life of the school in furtherance of our Christian ethos. There are three Parent Governor posts, reflecting our belief that parents bring a unique and valuable insight to our deliberations. The Richmond Local Education Authority appoints one Governor. The Head teacher is an ex officio member of the Governing Body, whilst another teacher is elected to the Governing Body by the Staff. The Deputy Heads are Associate Members. Each of the Governors has at least one area of specific interest (such as Child Protection, Health & Safety, Curriculum or Disadvantaged Students), with regard to which they will engage with the school across areas of activity. There is, therefore, enormous scope for Governors to bring their particular areas of experience and enthusiasm to bear for the benefit of the school. We view diversity as a key strength in decision making and in fulfilling our governance roles, and actively encourage people from all backgrounds to volunteer their expertise and energy to enhance the learning experience of our children. The Full Governing Body at Christ's School meets a minimum of four times a year - usually in September, December, March and July. As detailed in the school’s Instrument of Government. The quorum for any full Governing Body meeting is one half of the membership of the Governing Body (rounded up and excluding vacancies). At least four times per year. Time-sensitive issues may be discussed and voted upon via email. The Chair will be appointed by the Governing Body at the first full Governing Body meeting of the academic year. All meetings will be chaired by the Chair of Governors, or by a Vice-chair in the absence of the Chair. The Clerk to the Governing Body will minute the decisions of the Committee. Review the Instrument of Government annually and ensure any proposed variations are approved by the relevant body. 2. Appoint and remove the Chair and Vice-chair(s) of the Governing Body, and agree the period of office (between one and four years). 3. The Headteacher and Chair of Governors (or in his/her absence the Vice-chair(s)) are members of all Committees and working parties. 4. Only Governors on the Committee have the right to vote at Committee meetings. No binding vote may be taken unless a Committee is quorate. Decisions can be recorded as recommendations. 5. Any member of the Governing Body may attend a meeting of any Committee as a non-voting observer. 6. Establish and review Committees annually (in accordance with current legislation and Diocesan Board guidelines), and elect Committee Chairs annually, usually at the first full Governing Body meeting of the academic year. Governors are expected to be a member of at least one Committee. The quorum for Committee meetings is three Governors. 7. The Governing Body will meet at least four times per year. With the exception of the Admissions Committee, Committees should meet at least once each term, as directed by the Governing Body or otherwise as required. The programme of meetings will be set annually in advance; Governors will have regard to the demands on the School Leadership Team when setting meeting dates. 8. Each Committee will report on its actions and make recommendations to the whole Governing Body in accordance with its remit. 9. Appoint Child Protection/Safeguarding Governor, SEND Governor, Disadvantaged and subject/area named Governors. 10. Named Governors and any working parties will report back to the Committees. Additional working parties may be set up by the Governing Body as and when necessary. 11. Review Governor election material and oversee the Governor election process. 12. All Governors will aim to undertake regular training, either in-house or external. All new Governors will be given a copy of the Induction Pack, assigned a mentor and attend induction training carried out by the LA or Diocese. Individual induction to Committees will be carried out by the Committee Chairs. 13. Agree any suspension of Governors. 14. Appoint (and remove) associate members. Associate members may be appointed to serve on one or more Governing Body Committees and to attend full Governing Body meetings. They are appointed for one year (usually at the first meeting of the academic year) and may be re-appointed at the end of their term of office. Associate members will have full voting rights and may participate fully in the Committees to which they are appointed but may not vote on any decision concerning admissions, pupil discipline, election or appointment of Governors, the budget and financial commitments of the Governing Body. There may be no more than three associate members per Committee. 15. Any emergency action taken by the Chair of the Governing Body will be taken for approval to the next full Governing Body or Committee meeting as appropriate. 16. Any Governor or Committee member who has a financial or other interest in a matter under discussion must withdraw from the meeting for the discussion of that matter. No Governor may be involved in any decision where his/her personal interests may conflict with those of the Governing Body. 17. All Governors and each Committee must have regard to and act in accordance with current legislation/guidance; such legislation and guidance overrides this Scheme of Delegation. 18. Annually review its practice and training. 19. Appoint (and dismiss) the Clerk to the Governors. 20. Determine and review the Governors’ Code of Conduct. 21. Agree delegation of powers to Committees or individuals. 22. Have regard to the DfE Governors Handbook and to the Competency Framework for Governance. 23. Annually agree the school vision and strategic plan via the Chairs of Committees Committee. 24. Ensure that a Register of Interests form is circulated annually for review and updating, usually at the first full Governing Body meeting of each academic year. Governors are expected to keep their Register of Interests entry up-to-date at all times. 25. Agree the outcomes of the school’s self evaluation process. 26. Approve the school’s development plan (SDP), review progress towards achievement of the aims set out therein, and ensure any OFSTED findings are incorporated. 27. Agree targets for student achievement/attainment, ensuring they are based on outcomes of robust data analysis. 29. Nominate two or three Governors (one to be the Chair of Governors, two of whom must be Foundation Governors, and at least one of whom must have completed safer recruitment training) to carry out the Headteacher’s performance management review, including the setting of targets in conjunction with an accredited external advisor. 30. Delegate to the Headteacher the authority to sign staff employment contracts on behalf of the Governing Body. 31. Ensure that a panel of Governors is available to hear any staff grievances and disciplinary issues. 32. Hear representations from and, if appropriate, to terminate the employment (or not renew the contract) of any person employed to work at the school. 33. Agree any proposed change to the school’s category. 34. Consider matters relating to the role of the school in the community. 35. Ensure the Governing Body can demonstrate its accountability to parents. 36. Ratify any decisions referred to it by any Committee. 37. Ratify policies and procedures which require full Governing Body approval, and ensure that where statutorily required such policies and procedures are published on the school’s website. 38. Consider and monitor all decisions in the light of accessibility and inclusion and the requirements to help children achieve more. 39. To act in accordance with the school’s Scheme of Financial Delegation.